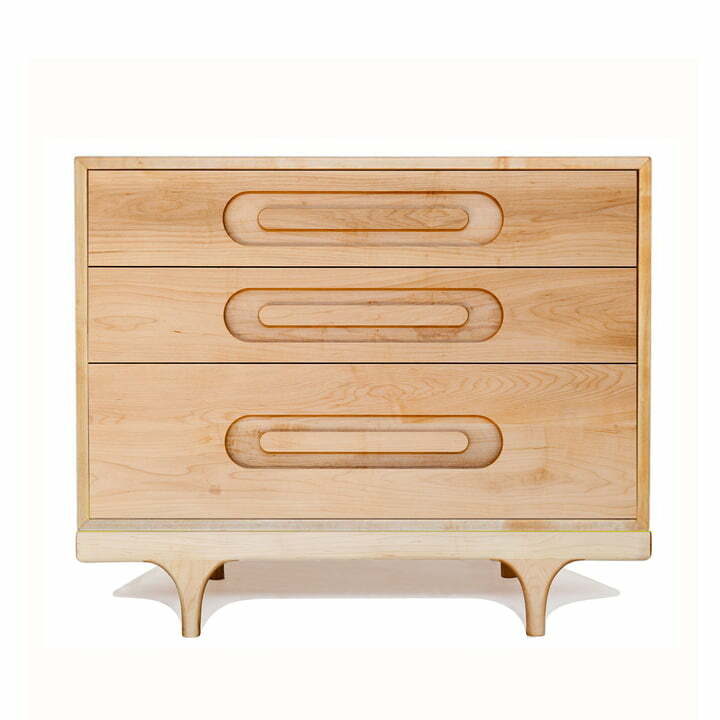 The Caravan dresser is part ot the same name Caravan Collection by Kalon. 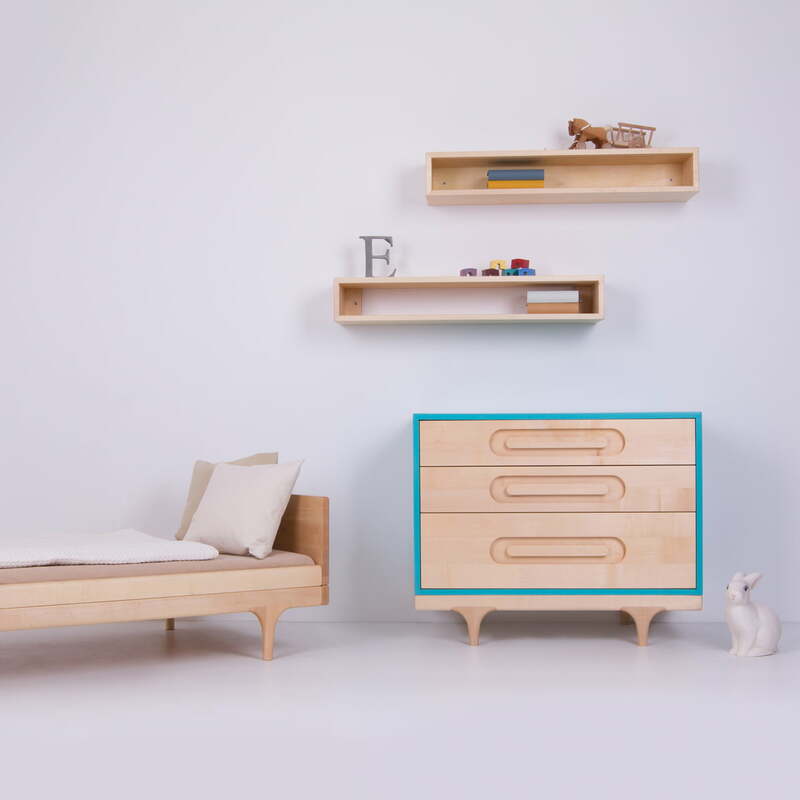 The collection was inspired by the colourful circus wagons in children's books and at the same time delights with a clear, classical shape language and this way meets the needs of modern parents. In addition, the classic form is interrupted by the very thin and delicate legs that give an interesting look to the furniture and are the characteristic feature of the series. 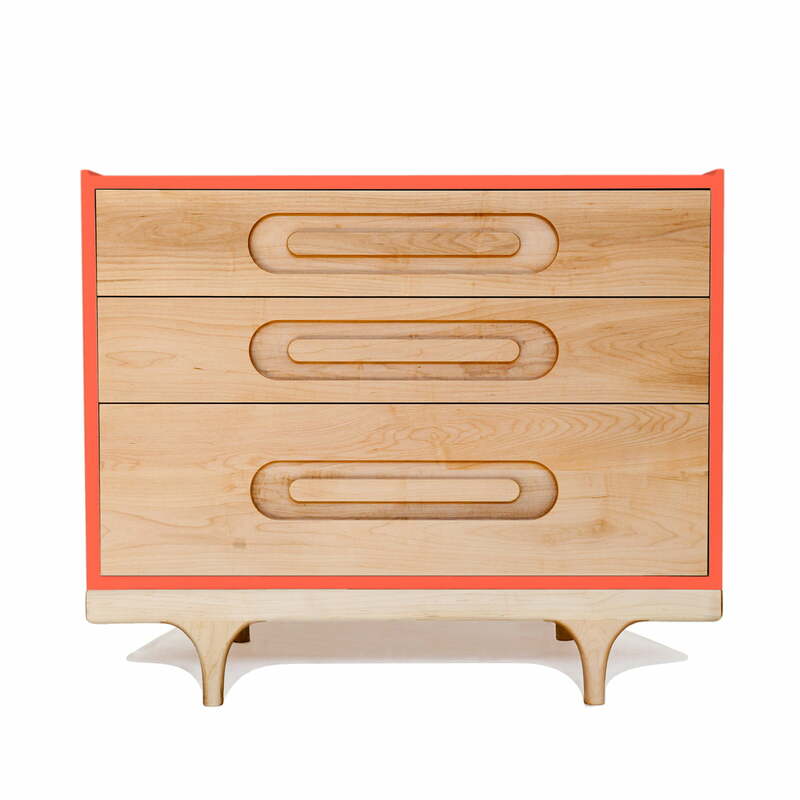 The dresser is made from sustainable FSC certified European maple and painted with 100% non-toxic and food-safe paints and oils. 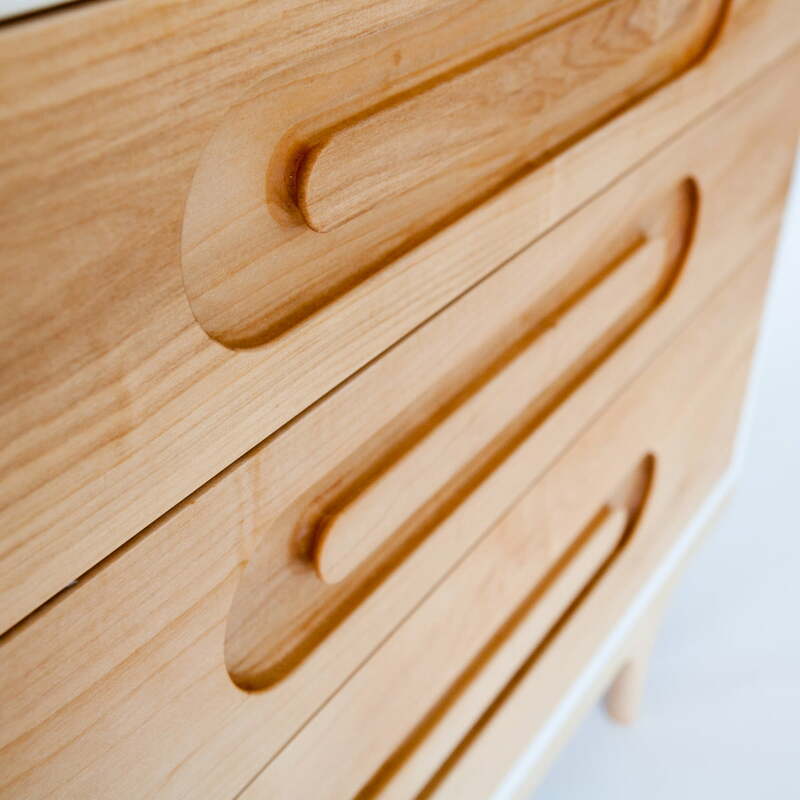 Integrated drawer handles give the dresser a dynamic and purist appearance. The dresser Caravan by Kalon is available in six bright colours. 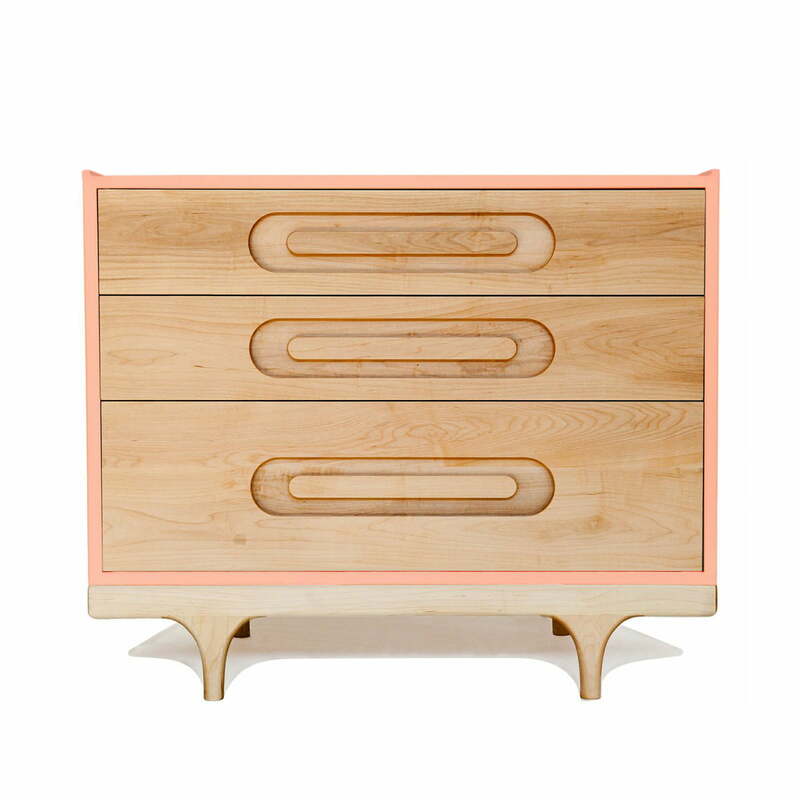 The Caravan chest of drawers is part of the Caravan Collection by Kalon. The Caravan Collection by Kalon is inspired by colourful circus caravans in children's books. Individual product image of the Caravan chest of drawers by Kalon in green. The integrated drawer handles give the dresser a dynamic and purist appearance. The optional Changing Trunk attachment is available for all Kalon chests of drawers. 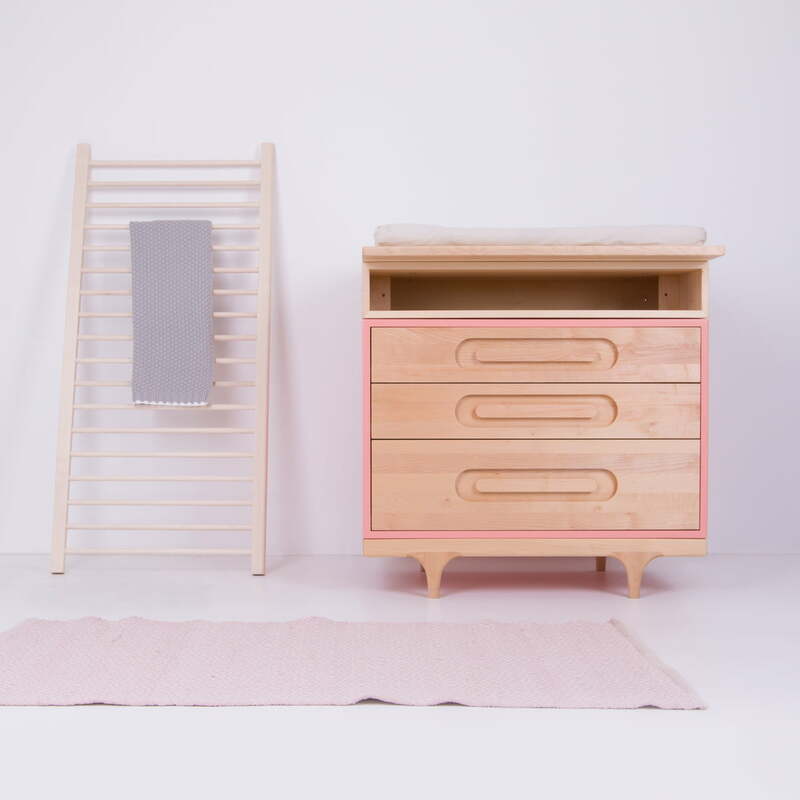 You can use the Kalon drawers not just for storage, but also as a baby changing table in the nursery. 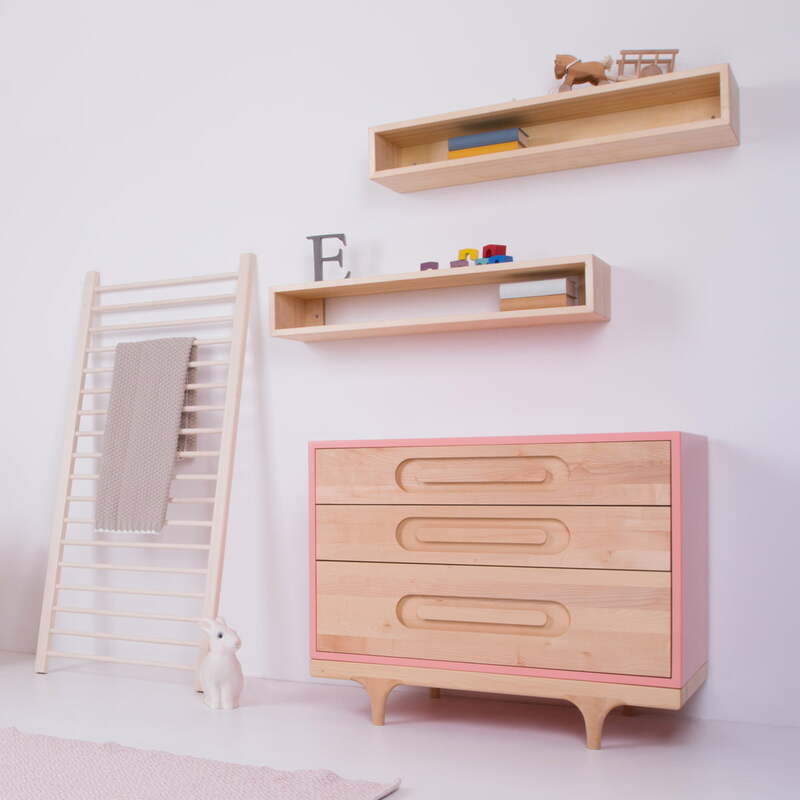 The collection is inspired by the colourful circus caravans in children's books and at the same time delights with clear, classic design and meets the needs of modern parents.